Put simply, I am all about the client; the bespoke, all-encompassing experience is designed to reassure and de-stress the bride. I work and live with an open mind and a fierce passion for providing every client with beautiful, natural make-up, backed by refined expertise. Commitment to the well-being and comfort of the bride, on the morning of the most memorable day of her life, is my priority. As a specialist Bridal Makeup Artist, I use an adaptable and fresh approach and work on a mobile basis, delivering a quality service to all who sit in my chair. Brixham Dental Practice understands how important it is to listen to our patients and to discuss their wishes and expectations. 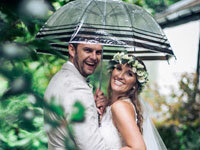 We are a professional dental team with advanced skills and knowledge in our field, having over 40 years of experience helps us to offer tailor made treatment plans to obtain the best result for you on your wedding day. We use only the highest quality materials, proven for longevity and ensuring lasting incredible results. Our qualified team have a friendly and relaxed manner, that help patients feel at ease when visiting us. We have worked with many happy brides over the years creating beautiful smiles for them to feel confident with on their special day. Contact our Treatment Co-ordinator for more information about our tailor-made services and Interest Free Credit options. Established in 2003 Hunter & Walsh has become known for their exceptional standard of hairdressing. The salon can cater for your whole party or the Hunter & Walsh Wedding Team can visit you on location. The Wedding Team consists of bridal specialists with skills of all types, during your free consultation you will be matched to your perfect bridal specialist depending on what look you would like. Hunter & Walsh have links within the wedding industry and can set you up with your photographer, your mua, your florist or even find you handmade bridal hair accessories. 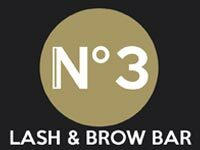 For the men we offer a Grooming Session which includes eyebrow threading, beard shaping, foil shave, fade or haircut. Specialising in boho-luxe styles, the Hello Gorgeous team are the bridal dream. 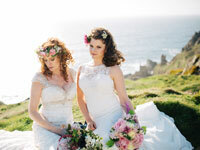 Whether you're dreaming of a naturally wild hairstyle, braided bohemian, ethereal looks or vintage vibes, the Truro salon – led by Helen, who has 16 years’ experience – offers free consultations and a mobile service at your wedding venue (with trials at the salon so you won’t miss out on a pampering session with a glass of bubbly!). Make-up artist and beauty therapist, Denise Jackson, provides a range of tailor-made services to ensure a fabulous finish. Whether it’s high glamour or natural and inimitably ‘you’, Denise is passionate about helping brides achieve the look they envision. Trained in airbrush make-up with Airbase, her make-up comes with a high definition finish – perfect for photographs - and her beauty treatments include eyebrow shaping, eyelash extensions, manicures and spray tanning. Hairbyemmac is an experienced professional bridal hair specialist in Cornwall and her aim is to give you the confidence and peace of mind required to alleviate any hair related stress on your wedding day, an award winning bridal hairstylist with over 10 years experience at creating Bespoke hairstyles for her Brides there is no doubt that she loves what she does and enjoys putting your vision into a Reality. 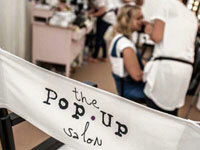 The Pop Up Salon team are hair and makeup artists with advanced skills and knowledge in their individual fields. A wealth of industry involvement working for leading salons, hotels, fashion houses and designers allows them to offer the style and service you would expect from a top salon with a twist....Whether your wedding style is vintage, classic glamour or contemporary, they will create a look specifically to suit you, building a package that's beautifully tailor made to your needs. 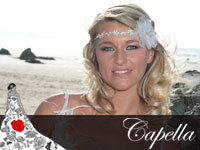 Capella is Sarah Hooper, one of Cornwall’s most prolific wedding hair stylists. An experienced specialist and self-confessed perfectionist, Sarah creates unique and inspirational styles that make the bride and her wedding party look and feel beautiful. An image gallery and testimonials are available on the Capella website. A highly experienced and knowledgeable makeup artist creating elegant, flawless makeup that fits seamlessly with your style. With a talent for creating your perfect look, from subtle and natural styles, to vintage looks and full on glamour. Using only luxury, high end products proven for longevity and ensuring incredible results. Claire is calm and relaxed in her approach, and is a perfectionist, so you'll be in safe hands. 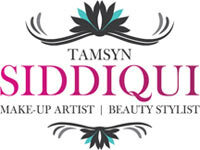 Armed with an acute eye for detail as well as passion for her craft, make up artist Tamsyn Siddiqui offers a tailored, professional and personable service to help transform all brides into their beautified best. A fully trained therapist in Perfect Brows, Nouveau LVL Lashes (eyelash extensions) and Sienna X Spray tanning, Tamsyn’s extensive skill set ensures a bride with a natural radiance for both the wedding day and honeymoon.